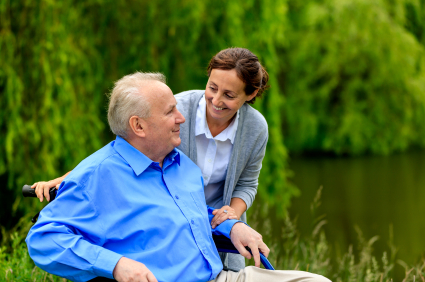 According to a recent report, US nursing home long term care, post-acute care, and rehabilitative care quality in the United States have all showed steady progress in improving long and short stay quality indicators. The report, released by the Alliance for Quality Nursing Home Care (AQNHC), was compiled using data analysis from PointRight, a national long-term care analytics firm. Quality of care was analyzed by using the Center for Medicare and Medicaid Services (CMS) quality measuring standards. Nursing homes, also known as skilled nursing facilities or SNFs, improved in all four CMS measures utilized for short stay patients. Pain, pressure ulcers, influenza immunization, and pneumonia vaccination all showed improvement over the past decade. For long stay patients, eight of eleven chronic care measures showed improvement. The eight improved areas include pain, high-risk pressure ulcers, catheters, restraints, activities of daily living (ADL) decline, weight loss, depression and pneumonia vaccination. The three areas that did not show any improvement, and even worsened at points, are urinary tract infections, incontinence and influenza immunization. The chronic care quality measurements were analyzed from 2003 to 2010. The analysis released by PointRight also found that the 30 day re-hospitalization rate for post acute patients dropped from 21.6% in 2007 to 20.9% in 2011. This is a significant decrease, especially considering that the federal government under the Affordable Care Act is now fining hospitals who have “too many readmissions”. Alan G. Rosenbloom, President of the Alliance, addressed the report by saying, “Consumers, lawmakers and facilities themselves need to know where quality is improving, where performance has reached a plateau, and where quality challenges persist… It is clear that while there have been real and continuing successes, improvement must continue to be a significant focus”.